I remember watching Jumanji about hundreds of times when I was a kid. I remember the drumbeats of Jumanji, inducing fear in my sibling and my cousins as we’d bite our fingernails every time we’d hear those dreaded beats. And then, of course, the fantastic Robin Williams as Alan Parrish, who was the life of the film itself. For the longest time, movie remakes have turned out to be epic disasters, such as Ninja Turtles, The Mummy, Charlie and the Chocolate Factory, Conan The Barbarian, and so on and so forth. None of these have been able to do justice to the originals – they have, instead, soured the memories of the original movie to a point where it’s painful to talk about them. 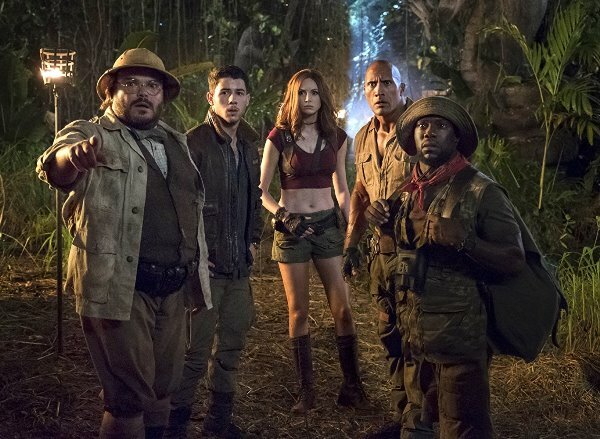 But with Jumanji – like a good remake that it is – I can actually tell my kids or younger ones who haven’t seen the original to enjoy the current film because it has enough elements to give it a fresh take without destroying the original. 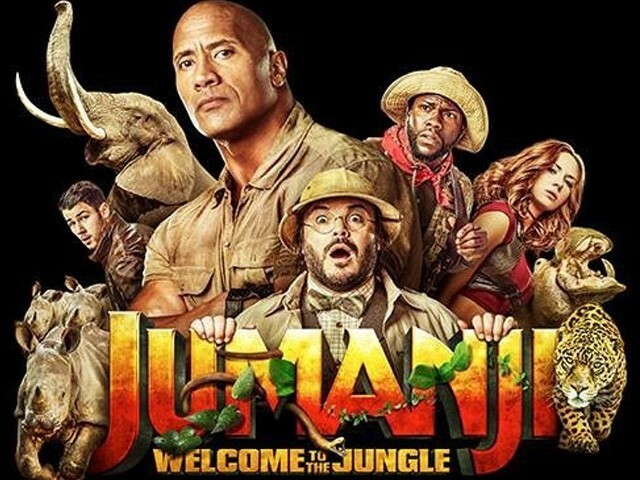 Dwayne ‘The Rock’ Johnson, Jack Black, Kevin Hart and Karen Gillan star in the remake of the 1995 film, a children’s adventure story that takes a real twist. Directed by Jake Kasdan and written by Chris McKenna (American Dad, Mindy Kaling Project), Scott Rosenberg (Con Air, Gone in 60 Seconds) and Jeff Pinkner (Fringe, The Amazing Spiderman 2), the remake is one of the better ones to have come out of Hollywood. The modern story revolved around a bunch of misfits – Spencer (Alex Wolff), Fridge (Ser’Darius Blain), Bethany (Madisoon Iseman) and Martha (Morgan Turner) – who belong to different cliques from their high school but end up in detention together. While spending time in detention, they come across a video game that promises adventures and an escape from their world. After choosing their characters for the game, they get sucked into a digital vortex and are transported inside the game, transforming into the avatars each chose for themselves – Spencer turns into Dwayne Johnson’s avatar, Fridge into Kevin Hart, Bethany into Jack Black, and Martha into Karen Gillan. 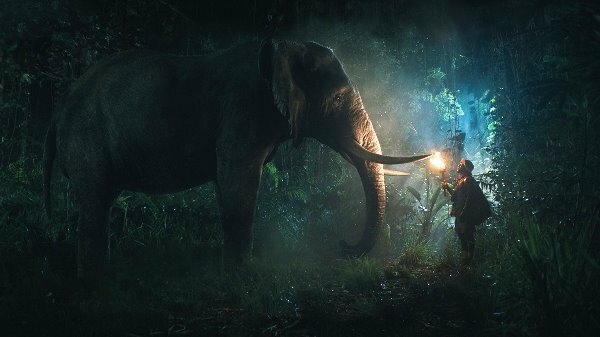 The rest of the story is similar to the original’s, and if you haven’t seen the original Jumanji and are not aware of the storyline, then, I don’t even know what to say. Through the dangerous experience of playing the game, they learn to work as a team, be compassionate and further discover themselves. Choosing Dwayne Johsnon to do the role of Spencer, the main protagonist of the film, was one of the smartest choices on behalf of the filmmakers. Johnson has always been a very likeable and beloved superstar, and thus it was heartening to see the film not being whitewashed. While it irked my feminist sensibilities to see Karen Gillan skimpily dressed and ‘flirting’ to distract some nasty villains, I liked how Jack Black was channelising his inner anima for being Bethany, the teenage girl. 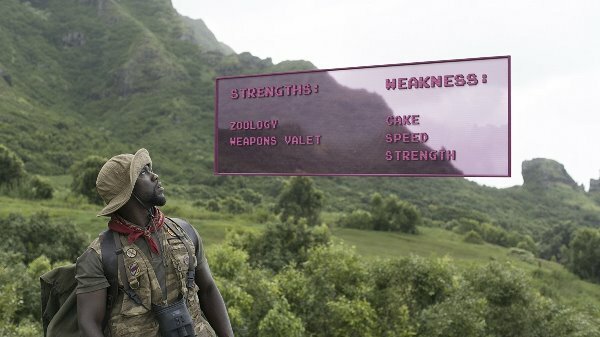 Jumanji: Welcome To The Jungle doesn’t employ sexist jokes (apart from that weird getup of Gillan) or racist analogies to make the dialogues funny or enjoyable. The storyline is riveting and is almost just as interesting for someone like me who was born in the 80s and got excited watching movies on the VCR instead of watching them on mobile phones, like the generation of today. 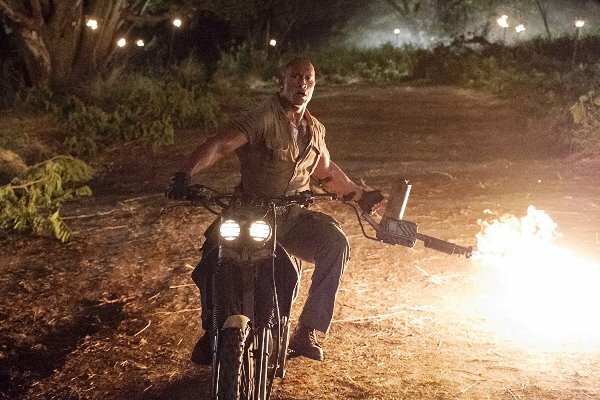 For me, the film combined the best of my childhood memories – loving The Rock and watching Jumanji with my friends and cousins. It becomes a little too important to hold on to memories from childhood after a certain point in your age. The remake doesn’t include much of the spooky quality of the original. In the 1995 version, the scares came from lions peeking from the shadows, creaky floorboards and bats flying out from every direction. Jumanji 2017 relies on scaring everyone with cake, allergies and putting the life of a Jonas brother in danger. The film is fast-paced but continues to be full of enticing traps and turns, edge-of-the-seat sequences that are well-suited for the “Snapchat generation”. What was truly great was that it appealed to audiences such as myself who have less in common with modern day blockbusters aimed at the pubescent young-adult crowd than we’d like. The film is definitely recommended for those, including me, who have loved Williams (if they ever think of making a Hook remake, they better do a doggone amazing job at it! ), children films of the 90s and appreciate the nostalgic value of a well-made remake.